Spring Festival is upon us and families around the country are finishing their preparations to welcome the Lunar New Year. We’ve already told you about things you can expect and phrases which may come in handy during the festival. By now, you may be able to communicate with a few native niceties and know not to waste your time lining up at any tourist attractions. 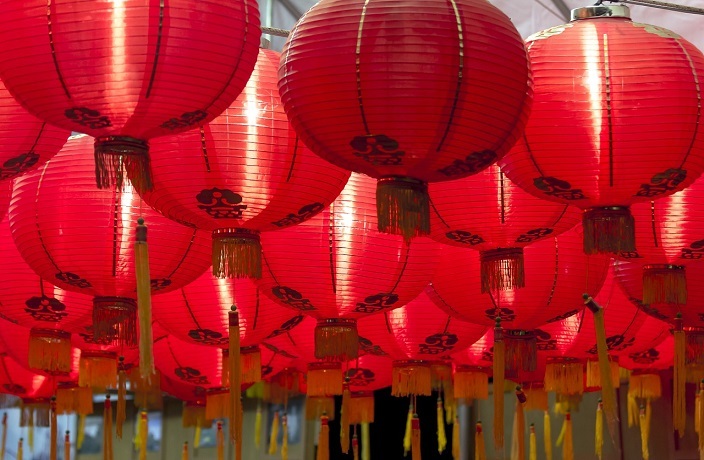 As we sit on the cusp of the Year of the Pig, let us dig deeper into the traditions and explain what each day during CNY stands for and introduce intriguing customs that even some locals may never have heard about. The first day of Spring Festival is called ‘Yuan Ri’ (元日), meaning the beginning of the year. On this day, people light fireworks or crackers from midnight to welcome the gods from the heaven. Legend has it that at this time each year, a monster called ‘Nian’ (年) would harass the villagers. Later, villagers learned the weakness of the monster (the color red and the sound of explosions) so they started to light fireworks and erect spring couplets. This is why Chinese people refer to celebrating Chinese New Year as ‘Guonian’ (过年), which originally meant conquering the beast. In some places, the first day of CNY is also known as the ‘Birthday of the Broom.’ As a result, it is considered bad luck to use a broom and clean up the house. Ancient people believed that good luck would be ‘swept away’ on this day, which may explain the tradition of spring-cleaning on New Year’s Eve. The second day of Spring Festival was the day when married daughters visited their birth parents. The tradition, in some places, is named ‘Shi Ri Zhou’ (having lunch), indicating that daughters must return to their husbands’ houses before dinner. Now, as feminist awareness has awakened, the custom has been dropped in most regions. In the northern part of China, the second day is also the day to worship the God of Wealth. Northerners, on this day, will go to the temple of the God of the Wealth and pray for good fortune in the coming year. The ninth day of the Chinese New Year is the birthday of Jade Emperor of the heaven in the Taoist Pantheon. People on that day would go to the nearest Taoist temple to thank the Jade Emperor for the blessings of the last year and pray for the coming year. The tradition, which is called ‘Bai Tian Gong’ (worshipping the emperor of the heaven), is still applied in Fujian and Taiwan. The tenth day of the Spring Festival is said to be the birthday of stones because the word ‘石’ (stones) is identical in sound to ‘十’ (10). On the Stone Day, people were not allowed to deploy stone-made farming tools as it would affect the yield of the crops. The fifteenth day of the Lunar New Year, as you may already know, is the Lantern Festival or ‘Yuan Xiao Festival’ (元宵节) when families are supposed to get together to eat tangyuan, which represents union. In addition to the snacks, activities such as the riddle guessing game and lion dances will also be held to mark the end of the whole Spring Festival. This article was originally published in February of 2018. It has been updated and republished on February 3, 2019.